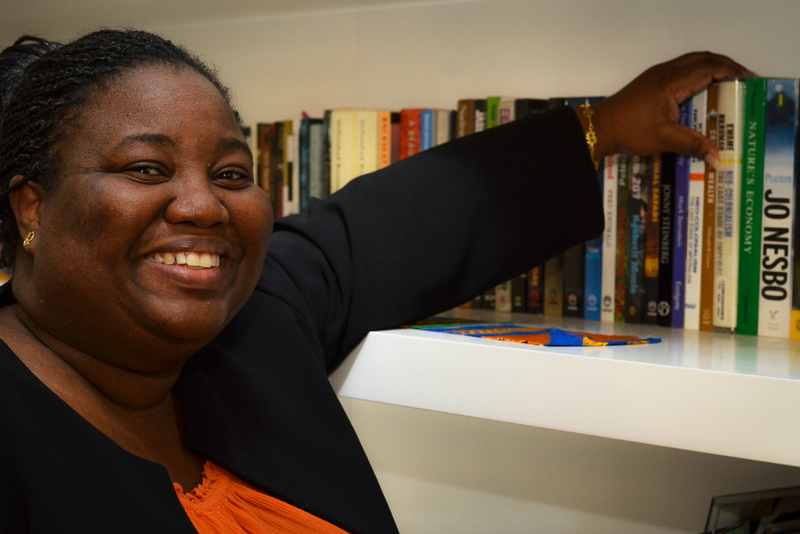 Betty Enoyonam Kumahor is an inspiring, dedicated and dynamic individual. Her professional expertise ranges from developing software to working as a founder and CEO. She’s a featured speaker at this year’s YOW! Conference in Melbourne, Australia, where she’ll talk about frugal innovation and overcoming unique challenges in her home continent of Africa. The journey that these simple three rules have taken me on is beyond my imagination and has been great fun. I got to where I am today by taking chances, working hard, and paying it forward. You founded The Cobalt Partners, which helps African businesses with productivity, growth consulting, design thinking, software development and more. What inspired you to create the company? It was merely a practical solution. I had just left ThoughtWorks with the plan to take a six-month sabbatical. Before I had informed anyone, I was already receiving requests for advisory assistance in one form or another. Within two weeks of requests coming in, I had started a spreadsheet to list them all. I counted 21 asks on my growing list. The common thread was that increasingly more organisations and leaders — both foreign and local to Africa — were looking for growth catalysts. I had a unique blend of technology, productivity, and consulting experience, along with the leadership style and access to needed talent. It was clear that there was a gap in the market, so we formed The Cobalt Partners in hopes of being catalysts for pan-African businesses in need of help applying technology, design thinking, and productivity consulting. You’re doing incredible things. What’s the most challenging part of your day-to-day routine? What’s the most rewarding? The most challenging and the most rewarding are actually one and the same: solving problems. I’ve always been a management consultant at the core. We seek clients, projects, and strategies that differ by their nature, so there isn’t necessarily a playbook for replicated success. Every day presents a new challenge — whether it’s internal (such as, “how do we reach a new audience of small medium-sized enterprises who don’t even have email or social media services today?”) or for a client (“how do we formulate an innovative collaboration platform for makers in Ghana’s largest e-waste dump?”). It can be frustrating to formulate a thoughtful and robust solution, but it’s certainly rewarding when you see a solution in action. Which obstacles do African businesses face most often today? The challenges are big. I’d say talent is the most significant, especially for knowledge roles and business. The African context is unique in that it’s unlike both the East and West. Because of this, solutions in African context must be heavily tailored — but they should also leverage experience and knowledge gained from other parts of the world. Finding people who can do this is both competitive and difficult. There are other challenges, too. Access to capital, even though capital is available, is still very difficult. Infrastructure costs such as power, transportation, and telecommunications also mean that the cost of operation in many African locations is comparatively higher than elsewhere. But possibly even more important to address than all these is the challenge of the outdated narrative of Africa as a struggling (war-torn and disease-ridden) continent. That narrative is myopic and truly ignores the riches, possibilities, and achievements of the continent. The more that this narrative starts to change, the more we’ll see more partners from the East and West working with us on the solutions that solve all current challenges. You’ve spent your life and career change the age-old narrative. What are some the creative and innovative solutions you see happening already? Those of us who grew up on the continent can tell you that we always saw creativity and innovation around us. It was the pool table made completely out of wood and mud; the radio made out of spare parts; the bicycle that was able to transport an entire family to work and school. We’re currently involved with a simple barcode hospital record filing system that has reduced wait times in clinics from an average of more than two hours to a mere 10 minutes. This solution boasts many innovations, using the elderly in the community to collect abandoned files, nine data points to uniquely identify patients (even if they show up with a different name or are fraudulently using another person’s insurance), to one-hour power sources in the event that there is no electricity (ensuring new data is not lost and patient intake/checkout can still occur). You’re speaking at the YOW! 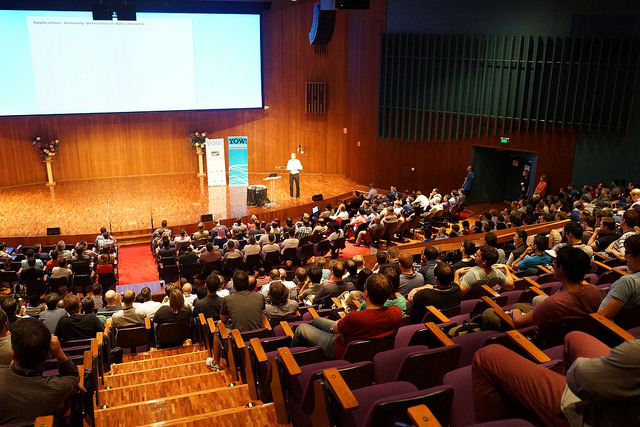 2015 Conference in Australia. Why this event? What are you looking forward to most? When it comes to technology — and in particular, software development — I’ve had several interactions with Australian conferences, technologists, consulates and businesses (especially in South Africa). Each has been so positive that I believe there is much opportunity to collaborate together in this space. I am most looking forward to having conversations about what’s been happening in the Australian software development space within the last year, along with what’s been happening in Ghana. I hope we can do more together. I admire my parents. My father was a pioneer in the Big Four Accounting and Advisory firms in Africa. But more importantly, he balanced his work with being a generous person. If I can have a quarter as much impact in my chosen field and in my extended family as he has, I will be in great company. My mother is one of the most brilliant medical doctors I know and demonstrated her management skill in the African context as a hospital administrator in Ghana. She expanded the polyclinic for the largest health district into an award-winning hospital, accomplishing all of this while raising five children. In terms of well-known people, I point to Steve Jobs and Carly Fiorina. Steve Jobs had tremendous success, but more importantly, marched to the beat of his own drum. That takes tremendous strength and character. Carly Fiorina did a stint at my high school and went on to be a prominent female CEO in technology. She takes on challenges with poise and competence. Find me on Twitter, @enyok, or Facebook. Last, how do you drink your coffee? I avoid caffeine — I get enough from life, I like to think — so no coffee or tea for me. Adrian Cockcroft has enjoyed a long career working at the leading edge of technology, having helped Sun Microsystems, eBay, and Netflix build and scale their systems. When he’s not serving as a Technology Fellow at Battery Ventures, he writes and speaks extensively about a range of subjects, including his fascination with what comes next. We talked with Adrian about keeping up with technology trends, what makes something intuitive, and which innovations that have surprised him during the last decade. I started out wanting to know how everything worked and got a Physics degree in London. After, I wrote software for a living until I joined Sun Microsystems and spent my time there explaining how Suns worked to customers. I moved to the USA and wrote a few books in the 1990’s including Sun Performance and Tuning. I spent time at eBay learning about large scale web services and moved to Netflix as they launched streaming in 2007. In 2010, I became the cloud architect for Netflix and started explaining cloud-native architecture to everyone else. In 2014, I moved to Battery Ventures to help find interesting companies to invest in and help our portfolio companies scale. You’re speaking about complex technology at this year’s upcoming YOW! Conference in Australia. What about the event are you most looking forward to? I attended YOW! 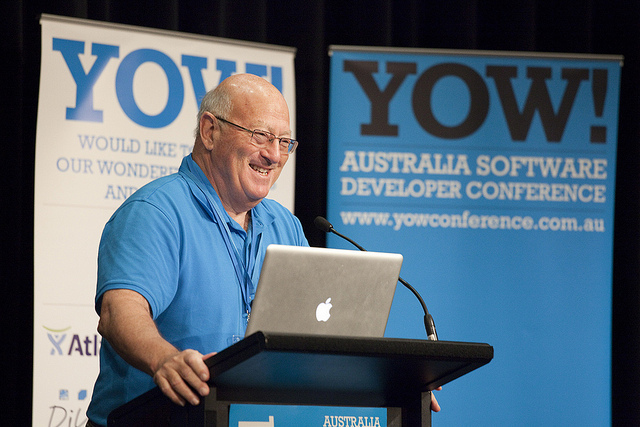 2013 and found that unlike most conferences, the speakers at YOW! Conference travel as a group from Melbourne to Brisbane to Sydney and really get to know each other. There is also an opportunity to evolve and tune the content, as well as its presentation. I’m really looking forward to hearing new things and making new friends. Tell us: how do you define something as ‘complicated’? Complicated things have lots of moving parts and relationships between them, which are initially confusing to try and understand. In contrast, what makes technology intuitive? When we have a mental model for how something should work it becomes intuitive, we can manipulate it and the behaviors become more predictable. How are complicated and intuitive related, if at all? Is there a specific use case you often share to explain the relationship between the two? Things that start off looking complicated can be learned over time by individuals and groups of people so that they eventually become intuitive. For example, driving a car is very complicated, not only controlling the vehicle, but navigating roads and around other drivers, but it has become intuitive to many people. You’ve done some incredible work at well-known companies during your career. What, if any, innovations have surprised you? When Apple released the initial iPhone, it wasn’t a surprise, but the quality of the user interface experience was so deeply intuitive that it surprised everyone. I saw a two year old using one of the first iPhones, and that was the inspiration for a hack-day project I did at Netflix to create a Netflix for Kids on iPad demo. This helped the real Netflix for Kids product get started. What’s the most challenging part about keeping up with your rapidly changing industry? I’m constantly exposed to new people and ideas, so the challenging part is to figure out which ideas are going to take off, and which will fade away. What other industry events, courses, and reading do you enjoy? I focus on two kinds of events: developer and DevOps oriented conferences that discuss and communicate the state of the art, like the GOTO conference series, DevOps Days, Monitorama and Gluecon; and management oriented events like CIO summits where my focus is on how to setup an organization to be innovative. To keep up with the latest news, I use Twitter and listen to podcast interviews with interesting people e.g. SE Radio, The Cloudcast dot Net, The New Stack. Find me on Twitter @adrianco. YOW Connected! 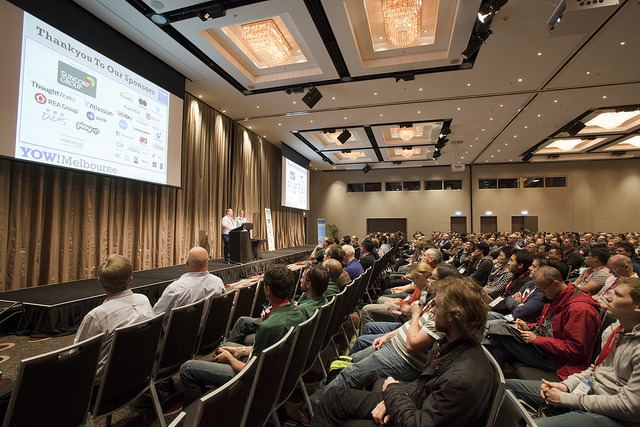 is a conference for developers, by developers. Learn more about Adrian’s upcoming panel and register for this year’s event here. Macropod is a software development company based in Yarraville, Melbourne. Macropod is a business built on trust, diversity and openness with the single-minded goal to deliver great software to people who build the web. Macropod Software is seeking Frontend Developers to work within a close-knit dev team in Melbourne! The business was originally known as Bugherd, the name of their simple point and click bug tracker. 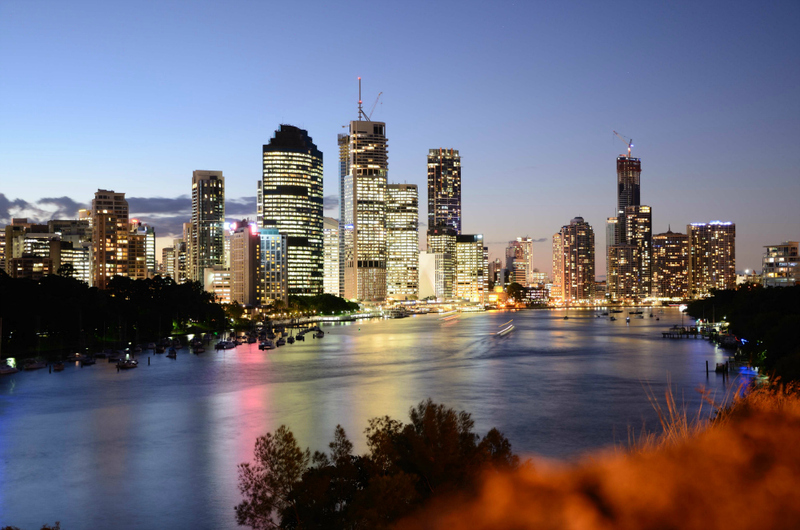 Founded in 2011 by Alan Downie and Matt Milosavljevic, Macropod is currently a team of 13. To learn more about Macropod and what the team holds important, read Alan’s post about ‘Trust, above all else‘. All expressions of interest to email alan@macropod.com with CV and cover letter. What attributes of content lead to social sharing? How do we drive engagement on social? The Marketing Women Inc. Masterclass event: Content Development for Social Media on Wednesday 4 June, will address these questions and more. 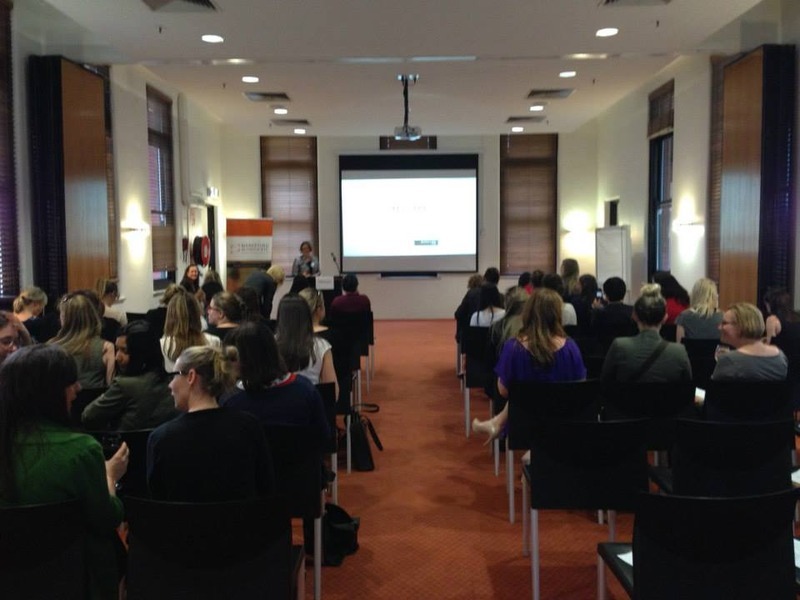 There are two social media gurus presenting at the event: Sasha Cunningham and Katrina Loughrey. 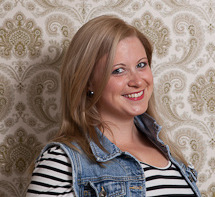 Sasha has recently been appointed as Edge’s Senior Strategic Planner. Sasha explains that her move to Edge has been so she can focus on content marketing strategy and lead their social media offering. 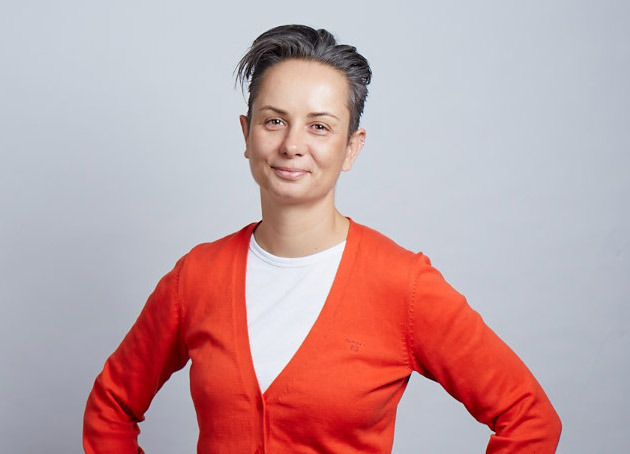 Her current clients, specifically in social include AAMI, Optus, Secure Pay (an Australia Post company), Australian Unity, Bacardi and Lesson Zone. Katrina Loughrey brings over 10 years experience as a communications and digital professional. She currently juggles the management of the Victoria Racing Club’s digital portfolio as well as being a curator of The Fetch Melbourne. The event kicks off with plenty of networking time while enjoying some nibbles and drinks. Remember to bring along your business cards, so you can go into the draw to win a fabulous prize on the night. Come and hear from the experts! Register before May 28 at the early bird rate on the Marketing Women Inc website.